Background: The Greater Toronto Airports Authority (GTAA) operates Toronto Lester B. Pearson International Airport. Located in Mississauga, Ontario, west of Toronto, Ontario, Pearson is Canada’s largest and busiest airport. The GTAA is the overarching administrative body that oversees the movement of approximately 40 million passengers per year. Recently, the GTAA completed a $4.4 billion redevelopment of Toronto Pearson from 1998 to 2008 to enable the airport to handle increases in traffic into the future. Our Work: Our Toronto ethnic marketing team advised the client on outreach to the city’s Filipino market. 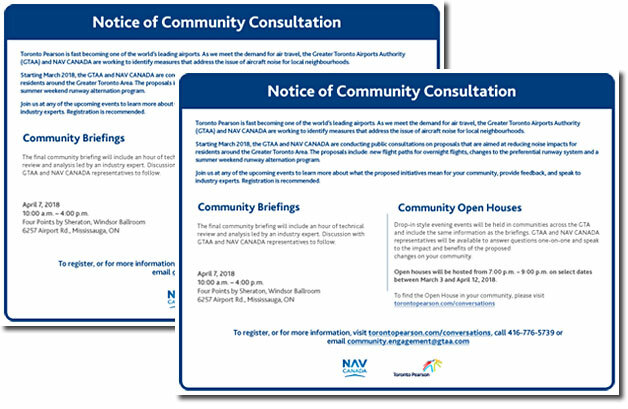 We provided media bookings, graphic services, copy-editing, execution, and reporting for this GTA region focused campaign.